Sunix IPC-B2002 – Промышленная мультипортовая плата 2*RS-422/485 serial card, PCI/104 (PC104 Plus). SUNIX Serial Communication Boards family provides an array of PCI Express, PCI, PCI/104 interfaces to meet your serial port expansion needs. Multi-port Serial Communication Board comes in the selection of 2 ports in choice of RS-232, RS422/485 or 3-in-1 combo with DB9 or DB25 serial connectors and compatible with all major operating systems for industrial applications. The Serial Boards series is best suited for applications where the CPU is able to devote some of its resources to handling computations or to real time applications that require short latency intervals. SUNIX boards offers ?Auto Detect and Switching RS-422/485? technology, which can automatically detects the state of RS-422 full duplex or RS-485 half duplex and control the data transmitter and receiver wires at the same port without any jumper setting. This design gives users the convenience and hassle free option to change the communication mode settings. SUNIX has also developed a hardware technology called Auto Hardware Direction Control/Carrier Sense (AHDC/CS? ), which is to control the direction of signals (ON or OFF) automatically in 2-wire RS-485 mode. This can precisely control the transmitting signals during the start and end of data transmission. Supports 2 independent RS-232, RS-422 or RS-485 serial ports. 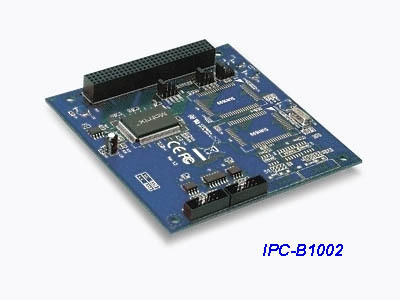 Supports, Universal PCI, PCI Express, PCI/104 bus types. Serial communication speeds up to 921.6Kbps. SUNIX AHDC/CS? technology for RS-485 2-wire signal direction control. RS-422 and RS-485 Auto Detect and Switching technology. Built-in 64 byte hardware FIFO & 128K byte DMA software FIFO for high speed and reliable communications. Easy to install – no DIP switches or jumpers to set. Surge and Isolation protection for SI version. Supports DOS, Linux,Unix, Microsoft 2000, XP, 2003, Vista. Ready for the Intel? and AMD? 32/64-bit CPU and operation system. Operating Temperature	0 to 70 ? Storage Temperature	-40 to 85 ?